Loca For Language: IWSG: Spread too Thin? 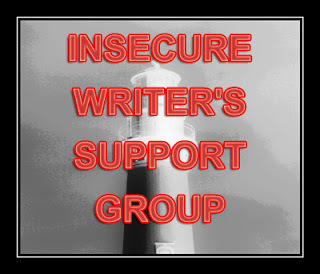 It's time for another Insecure Writer's Support Group which was created by Alex J. Cavanaugh and allows writers to vent about their insecurities or lend encouragement to each other. Go to the link to see what other writers are talking about this month. This month finds me in the middle of a number of different writing projects. I am participating in ROW80, which is a writing challenge that understands that you have a life. You set a goal for each 80 day round and track your progress through blogposts. My goal for this round is to write 250 words a day. Blog-writing and work on my two unfinished manuscripts count towards the goal. The amazing thing is that every day that I have put aside time to write, I end up writing more than 250 words. Unfortunately, I am only setting aside writing time four days a week. The weekends are too distracting. It's hard to keep my focus. I also signed up for NiNoWriMo, a monthly challenge where you set your own writing goal and track your progress. I am using the same goal that I have chosen for ROW80; I just like the extra accountability. I am already in the home stretch with one of my manuscripts and getting ready to tackle the next. Another project I have signed up for is A Month of Letters. I will be sending something in the snail mail each day that the US mail runs in February. It's fun to write real letters again. I started writing a letter to my sister, expecting to write maybe a page, and ended up writing 6 pages. My hand actually hurt by the end of the letter. I am planning all kinds of creative goodies to send through the mail this month. Am I spread too thin? Trying too many projects at once? I don't think so. I love the accountability and support of writing challenges. Also, I love all the inspiration I find on the web in these unique challenges. All in all I am feeling super inspired and motivated this month.